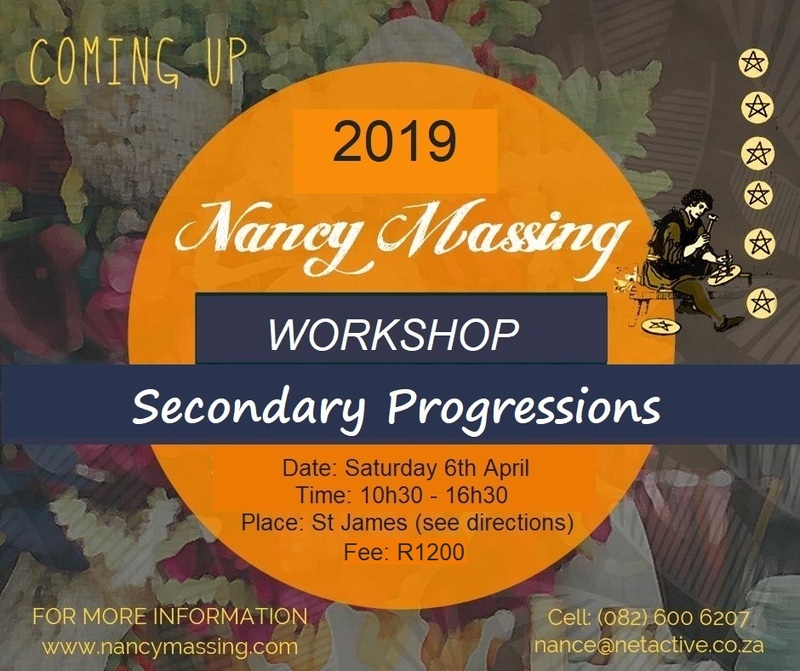 Secondary progressions are invaluable to the astrologer as a predictive skill. They are very personalised and therefore unique to the individual. They shed light on the client’s individual map, backdrop under which the transits occur and the timing of major life developments. They bring depth and perspective to your reading and understanding of where the client has progressed to. Join in on this fun day of learning and self-exploration! Learn the theory behind the techniques in combination with practical application, using your own chart as example (self-exploration). Transform your ability as an astrologer! Refreshments will be provided throughout the day. Please bring your own lunch to share.